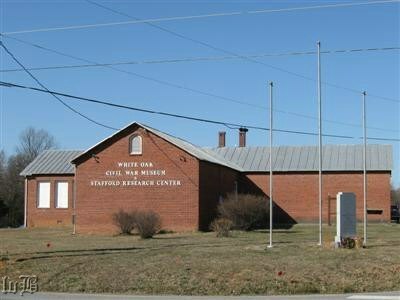 Very recently, I had the opportunity to visit the White Oak Civil War Museum, just outside of Fredericksburg, Virginia. As anyone vaguely familiar with the American Civil War knows, Fredericksburg was the site of one of its bloodiest battles; but most people only vaguely familiar with the Civil War will not recall much more than that. And many only vaguely familiar with the Civil War will likely subscribe to the general understanding of that conflict which generally permeates the public discourse today- a crusade to save the Union and abolish slavery, between the infallible and freedom-loving modernizers of the Union, and the backwards slave-owning aristocrats of the South. A tragedy that ‘brother fought brother,’ perhaps, but a necessary sacrifice for the moral progress of the United States. Anyone showing historical sympathy for the Confederacy is therefore at worst, a radical, and at best, outside of the progressive mainstream. Such historical simplification to the point of mythologizing is nearly universal in political dialogue across the ages, especially in progressive nations such as the United States. Perhaps this is necessary: human life without myth is dull and deathly, history is never in actuality so beautiful and unifying as myth, and only those who strive to understand history for its own sake (ie, not most people) can even begin to understand history. But this simplification is nonetheless inaccurate and bears potential consequences when leaders strive to base policy off of it. What is more, skewed paintings of the past tend not to give credit where credit is due. 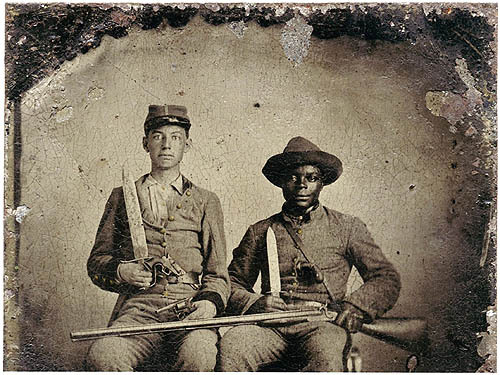 Viewing the Civil War in mythic terms helps to dispel its element of tragedy- the deaths and sacrifices of so many are seen as necessary numerical sacrifices, not the human dramas they really were. In a contest of good guys and bad guys, it is tragedy only when the good guys die. And thus the picture becomes more a superhero movie and less a Homeric epic. The downplaying of the valor of those participants of battle whom history derides as the bad guys is unjust dehumanization, and in all likelihood, inaccurate analysis. Away from historical philosophy, and back to my adventures with history. My primary task in the museum was to locate and transcribe into my notebook a short piece called “The Task of the Historian” which was framed and left to sit next to the entry to the exhibit hall, admonishing travelers and scholars of their duty as they entered the depths. I will copy the piece and post it on this blog in due time; it is a true gem. Having fulfilled my primary purpose, I observed some of the other attractions in the short hallway before the exhibit hall. 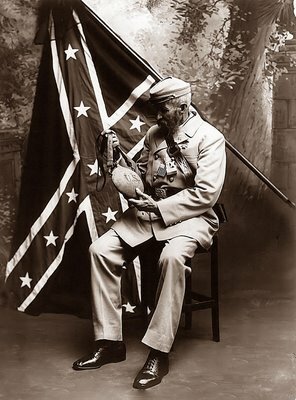 My eyes were drawn to a corkboard smattered with ancient newspaper clippings and photographs of black men in confederate uniforms, waiving the Stars and Bars and other incantations of the flags of the Confederacy. “Negroes among rebel pickets on the river,” read a piece dating from the days of the crisis of the Union. “Black man bears Confederate flag in Civil War Parade, says it stands for freedom,” read a more contemporary cover story. An 1864 editorial in Harper’s Weekly condemned those Northerners who opposed the use of black regiments on racial grounds, arguing that the Confederacy was using such regiments to great efficiency at the time of printing. Taken aback by all this, (I recalled learning in AP US History a few years back that the Confederacy had never actually gotten to the point of using black troops, and in any case it is a shocking revelation in itself) I wandered into the hall of artifacts, ideas turning about in my head. As I walked about the glass cases protecting piles upon piles of excavated bullets, bottles, badges, and blades, I reflected that Stafford County- my home- was once a very different place, reduced by war to a treeless, barren wasteland pockmarked by tent-peg holes. No one could possibly properly understand the Civil War’s effect on Stafford County by viewing the county itself as the wooded, suburbanizing corridor it is in the early 21st Century. How much the same for all other factors and measurements, for all other historical times and places? My pondering wandering was interrupted when one of the old, suspendered men who act as curators for the museum approached me and asked me if I had found the information I sought. Now, this museum is, in appearance, more of an old barn housing some piles of dusty artifacts, than an institution of research and display. Its curators are not so much bespectacled academics as American incarnations of the knight Indiana Jones encountered when he found the Holy Grail- protectors of historical knowledge forgotten or lost by the rest of the world, content in their duty as content in living their dream- their American dream, defending a portion of their American heritage with the last years of their lives, upholding their sacred honor. The implication ought to be obvious. The thousands of black men who fought for the survival of the Confederacy and the cause of state’s rights have been forgotten by history. They did not represent a majority of Southern blacks; but, like the Tuskegee Airmen, they nonetheless were there. A rational and balanced analysis of things would likely reveal that they were no better or worse than their colleagues who fought for the Union, and gave as much blood and sweat as any crusading warriors throughout the history of the Earth. Yet because they do not easily fit into the national consensus of America’s moral progress, their struggles and their lives go unlauded in the museums and halls of history, save those few which are not particularly concerned about their reputation. America tends to glorify its war heroes, Bobby Lee and Stonewall Jackson included; interesting that the black Confederates should go unsung. Note: I use, here, quotes in the same manner as did Thucydides; I never recorded these conversations as they happened, despite their importance. And as they were so critically important, I have replicated here their spirit, if not their words. These paraphrasings are along the lines of what the speaker said, and suffice to make my point. The War was about slavery and the economy of the South that was built on the backs of slave labor. Read the letters of secession from all the states and then come back and say it wasn’t. Thank you for holding to the truth.